Every woman knows the joy of slipping into her comfy clothes. You know, the ones that don’t constrict, pinch, dig in or ride up. We usually save them for the end of a hard day, when we’re ready to hunker down. Here are some tips on how to create that same comfy feeling even if you aren’t wearing your favorite pajama pants. Swap a sweatshirt for a warm cardigan or sweater. Make sure your sweater is not too bulky as that will add inches to your waist and create a sloppy look. Choose something that is just as warm and comfortable as a sweatshirt, but that makes you feel put together and stylish. Swap sweat pants for leggings or jeggings. Remember to pair leggings with a tunic or shirt that covers your rear end. Jeggings can be just as comfortable as leggings. They add the look of jeans without the restriction of wearing jeans. Find some cute socks to wear for play dates and family gatherings. When it’s extra cold, find a great pair of slippers to wear around the house or to slip in your purse to wear at a friend’s house. Layering is easy and adds interest to any outfit. Layer simple tanks in the summer with a vest. Layer tanks or t-shirts under a sweater for an easy, comfy, put-together look. Umm, hello ballet flats? Comfy and adorable! 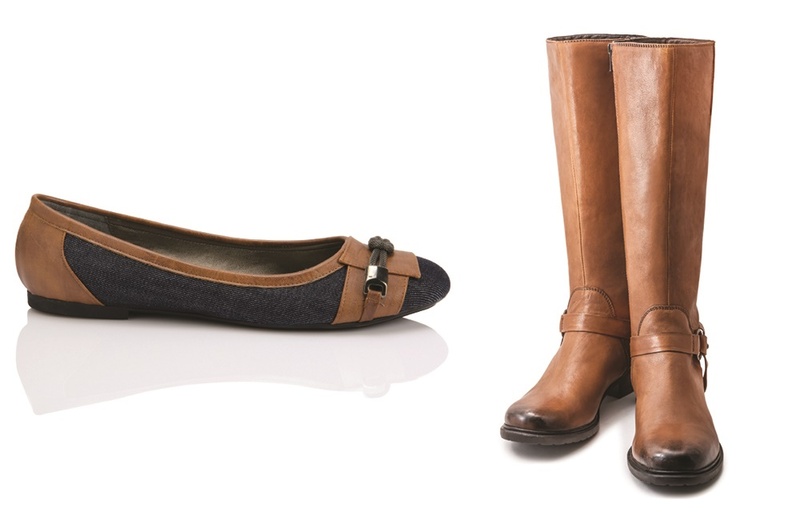 Flat boots are sophisticated and great for cool weather. Heck, even a pair of cute fashion sneaks can add polish and comfort to an outfit. Growing up in a small northern Minnesota town, Ashley Lundgren has always had one very unique gift, helping others find great style! Along her journey she attended Crown College and completed her Bachelor of Science degree in Fashion Merchandising through Westwood College of Colorado. During this time, she met and married a wonderful business owner, Dane Lundgren, They currently they have two darling children, a daughter and infant son! You can follow Ashley on Instagram or visit her at ashleylundgren.com.